Manchester City Council recently published their latest State of the City 2013 – 14 report. Nowadays, the council does not show comparisons between the different wards. Except for a vague consultation of people’s satisfaction with life and how people from different ethnic backgrounds, from 2010. Is this because the comparison between different wards, shows that the worst performing wards, are those of the senior councillors, Richard Leese (Crumpsall), Pat Karney (Harpurhey) and Rosa Battle (Bradford) for example. I have heard a story, that Donna Ludford, the replacement for Jim Battle (ex-Deputy Leader (Ancoats) and now deputy Police Commissioner), has had her friends telling people she is no longer a councillor. It would appear, she is feeling the pressure from the people of Ancoats who are totally dissatisfied with the performance of Manchester City Council. My initial interest in the council’s report was in their section on the Environment and Climate Change, pages 148 to 155. They do admit that the annual objective for Nitrogen Dioxide (NO2) have been exceeded. They try to give the impression that Carbon Dioxide (CO2) emissions have fallen in Manchester since 2005 by 16.1%. They have in reality fallen by only 10%, having risen from 2,745.2 in 2011, to 2,944.8 in 2012: Manchester’s emissions. They do not put a link to the Department of Environment and Climate Change’s (DECC), Local Authority Carbon Dioxide emissions which was published 26th June 2014. Instead, they used outdated information, stating 2012 data would be available in the summer of 2014. Why did they not delay publication of the more update data was available? And of course, these emissions are only estimation, and could an under-estimation of the real emissions, especially as emissions due to aviation are not included. Manchester City Council seem unable to properly account for their on energy usage, therefore are unable to accurately estimate their own emissions. From what I constantly observe walking around Manchester, is the amount of wasted energy on the part of Manchester City Council. 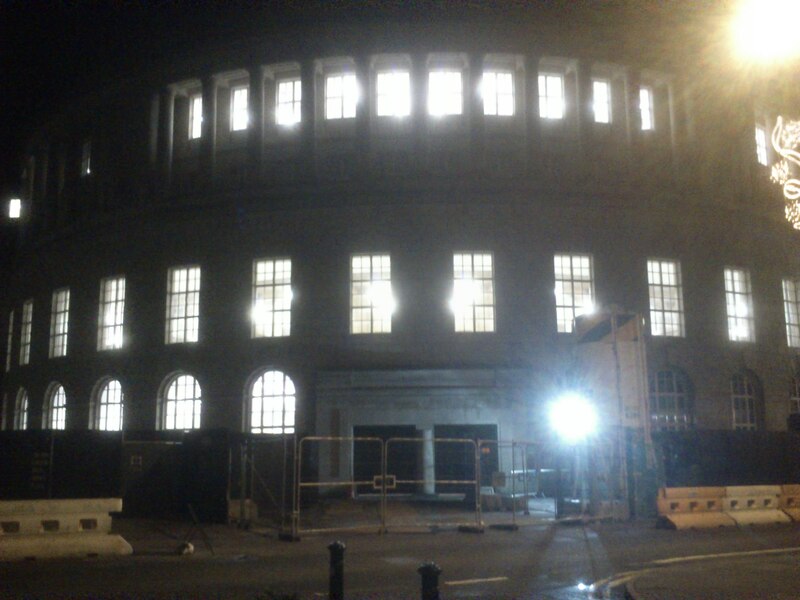 Manchester Central Library, at 23:34hrs, when it was shut to the public and no work was being carried out on it. 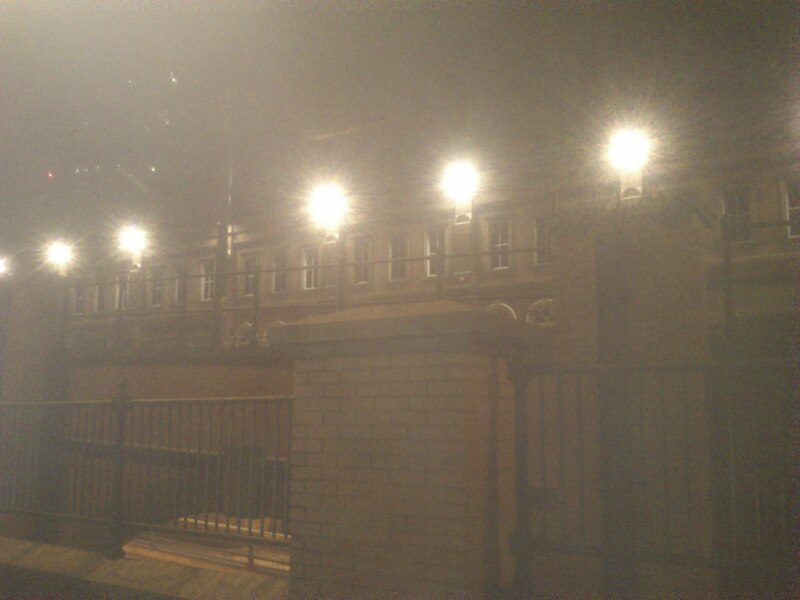 Manchester Town Hall annexe at 00:55hrs, whilst no work being carried out. 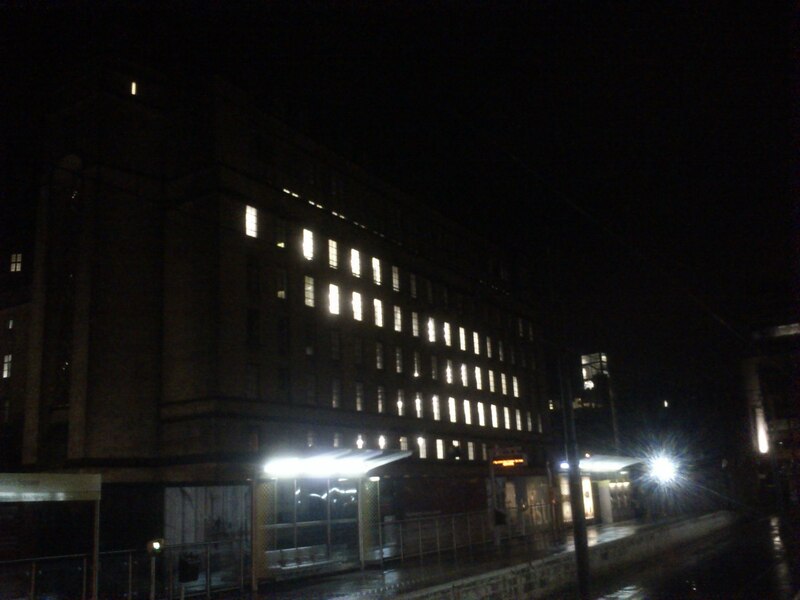 Manchester Central Conference Centre at 01:00hrs. Manchester suffers from some of the worst health outcomes with residents having a low ‘good’ general health expectation and a low life expectancy. These are indications that Manchester City Council has failed totally, in addressing major issues that negatively impact on Mancuians. Despite all their hype, they have failed time and again and Manchester has not been resilient to climate change.